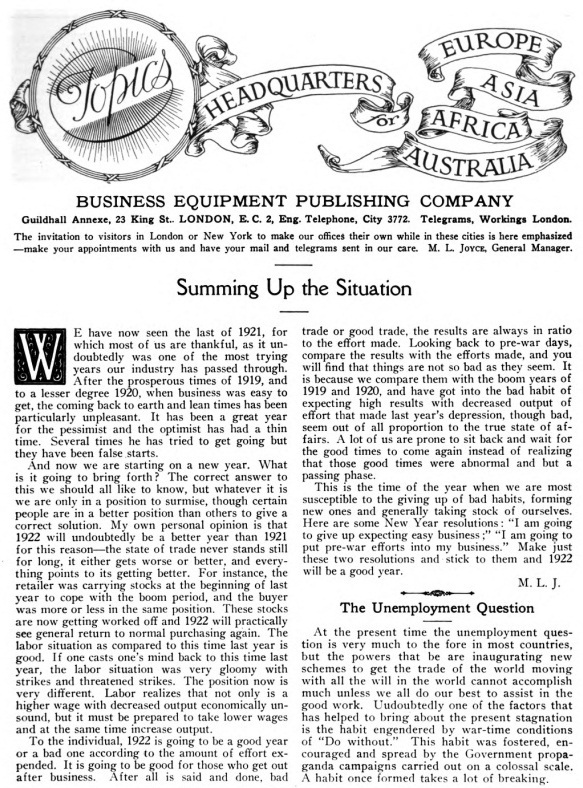 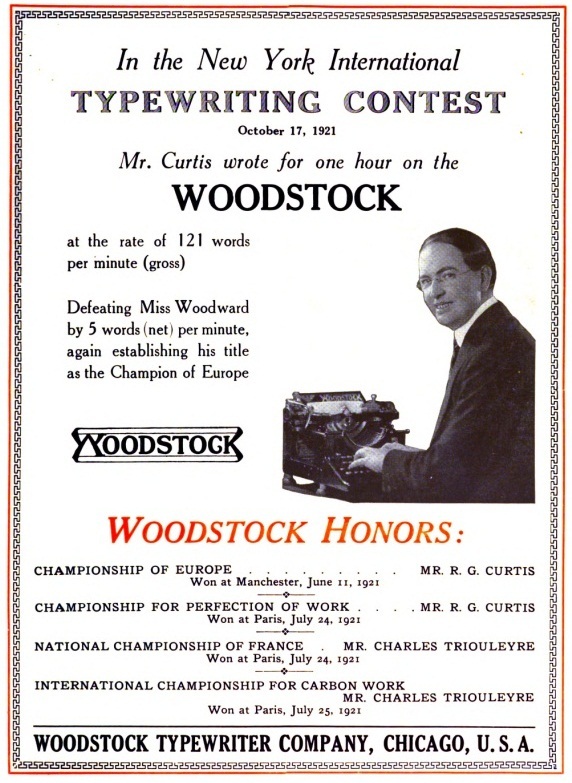 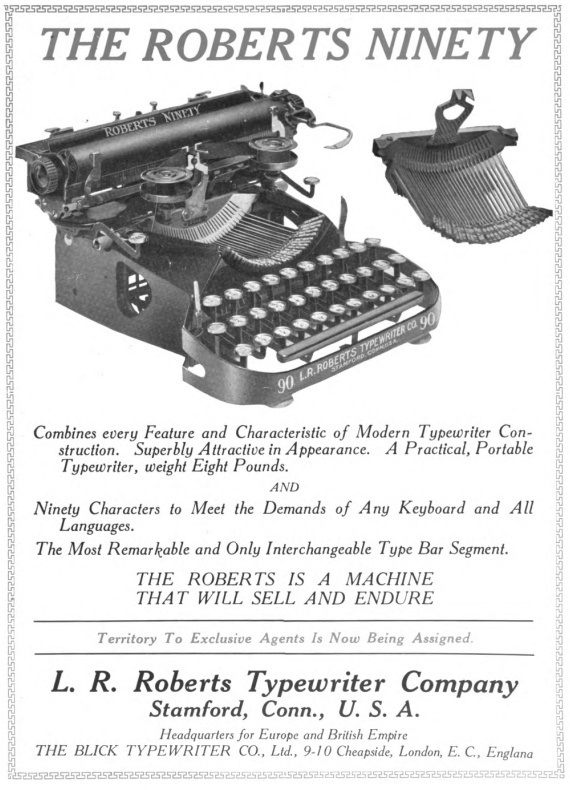 Interesting aspects of the reconstruction of Continental Europe after World War I, and worldwide economic conditions in the early 1920s - especially as they impacted on typewriter manufacturing and sales - were covered in the January 1922 edition of Typewriter Topics. 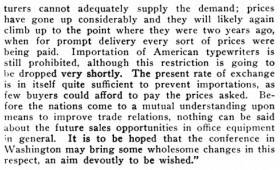 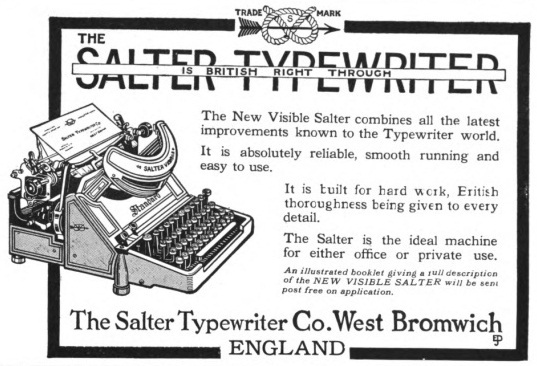 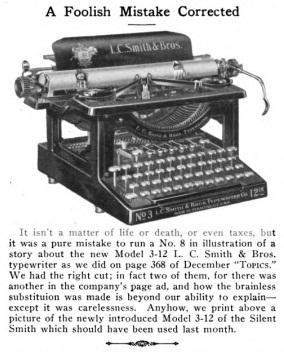 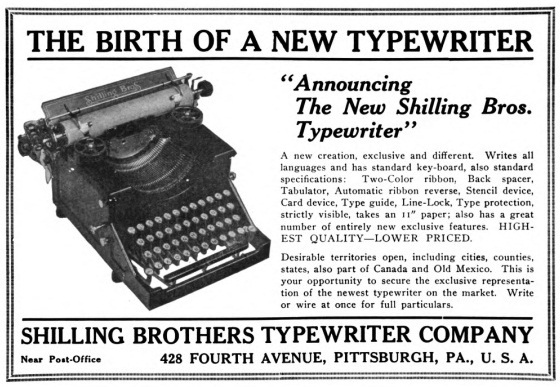 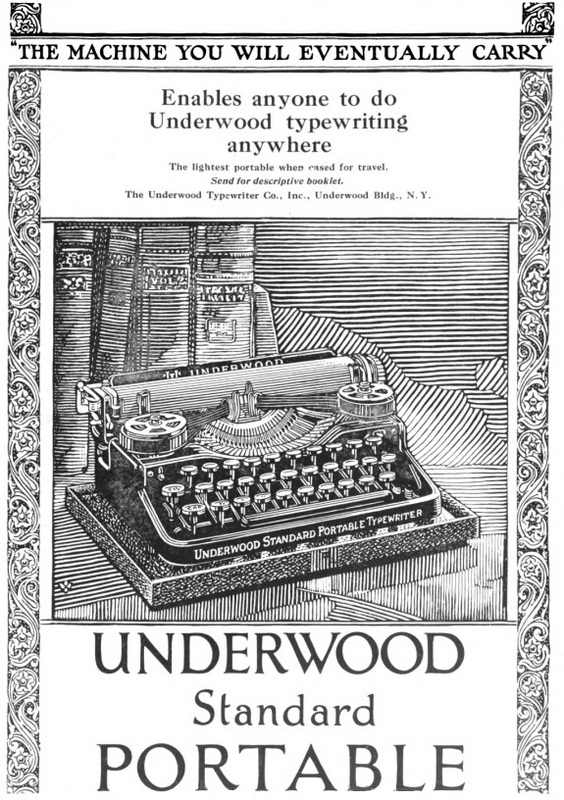 In a summary of conditions, Typewriter Topics general manager M.L.Joyce said he was optimistic about an improvement in trade in 1922, but that 1921 had been "one of the most trying years our [typewriter] industry has passed through" - following boom trading years in 1919 and 1921. 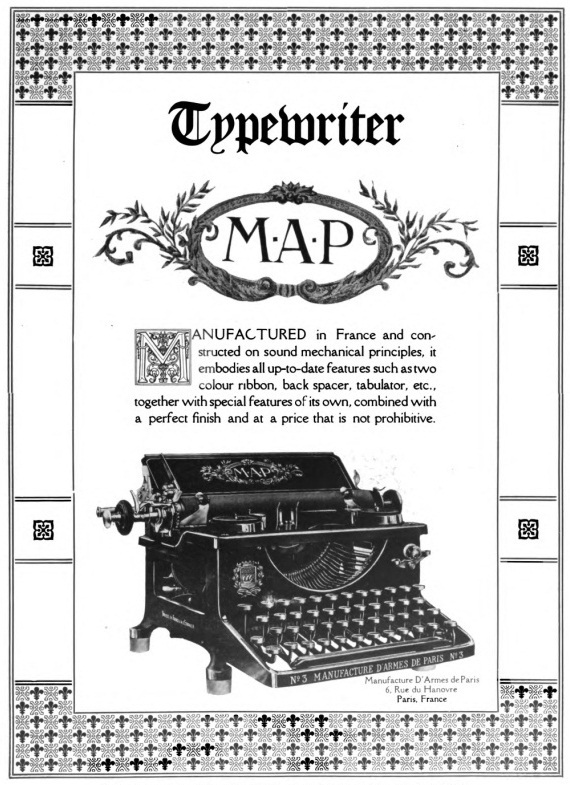 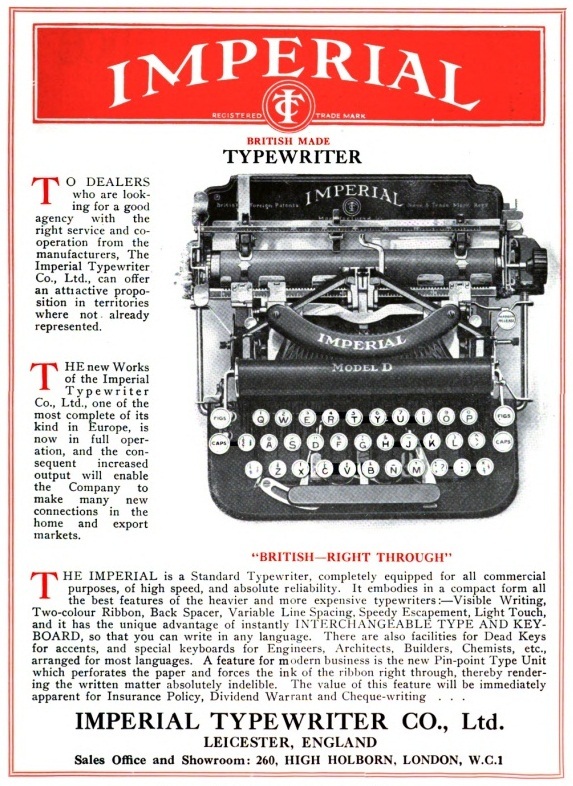 The edition opens with its traditional review of the typewriter industry in the major trading nations, with lengthy contributions from managers and agents in many countries. 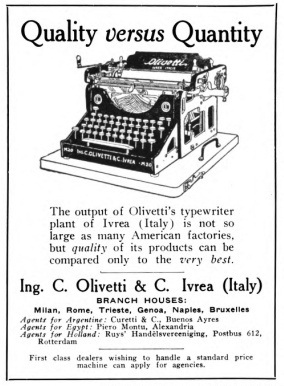 I have taken neutral Switzerland as an prime example because the situation there underlines the difficult situation for US typewriter manufacturers in Europe after the war. 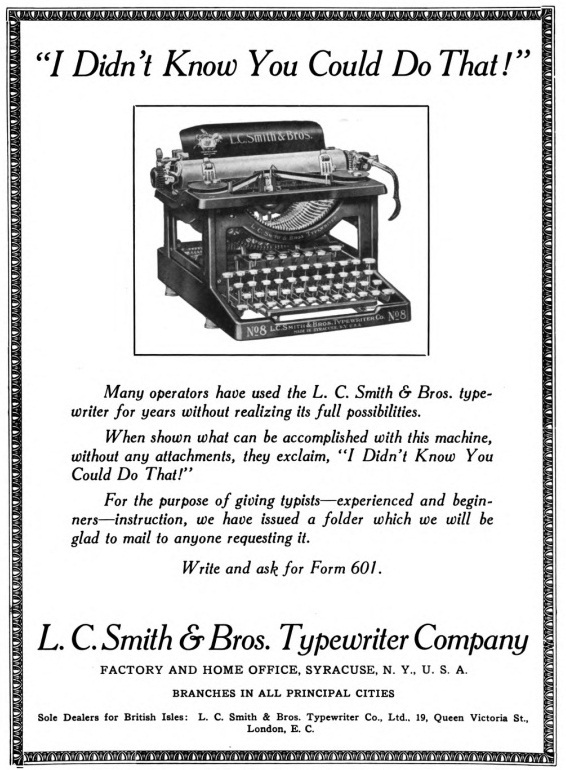 There was a ban on US typewriters being imported into Germany, where the post-war resurrection of the typewriter industry had been very rapid and quite remarkable. 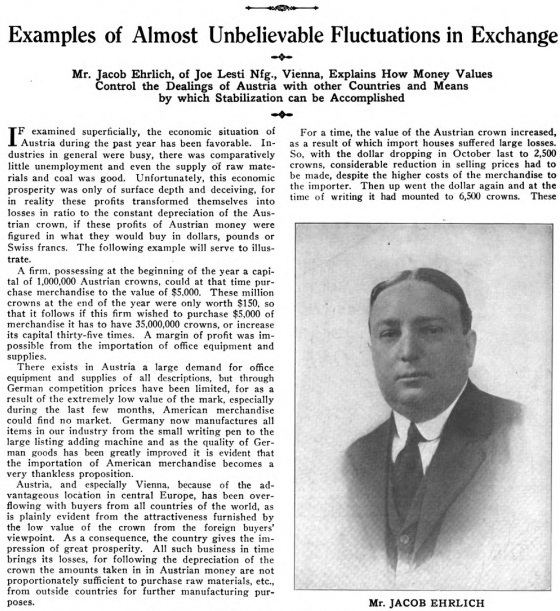 This was helped enormously, as Swiss correspondent R.Huppertsberg pointed out, by vast differences in the exchange rates - the Germany currency remained low while the US dollar was prohibitively high. 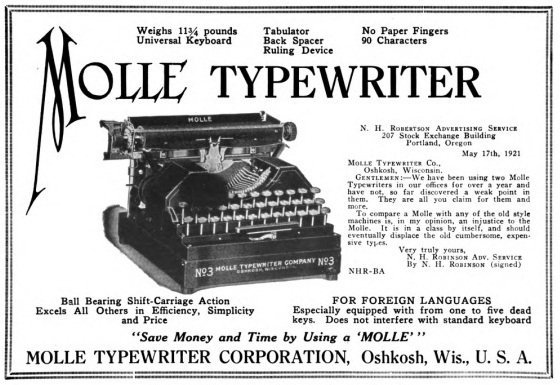 German typewriters sold for 165 to 225 francs while US typewriters sold for 392 francs - 74 to 137 per cent dearer. 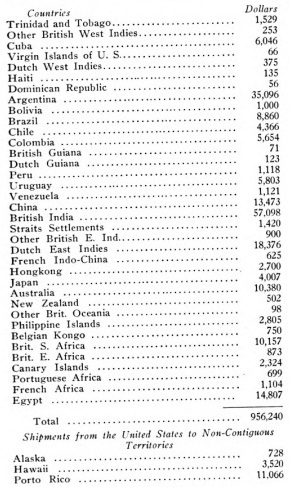 And that excludes freight. 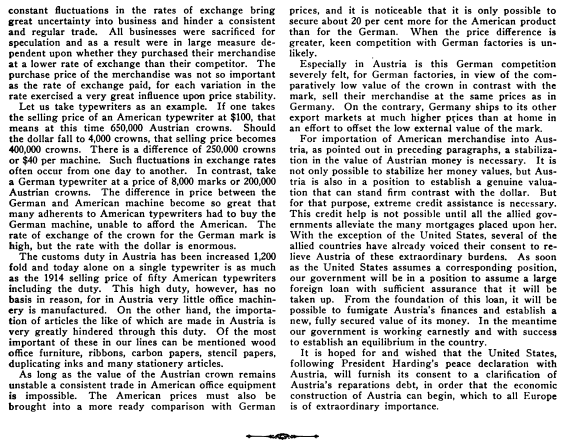 Of course, by the end of the decade and the onset of The Great Depression, things had changed drastically in Germany. 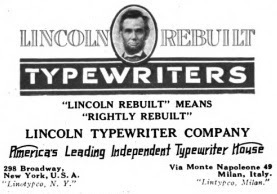 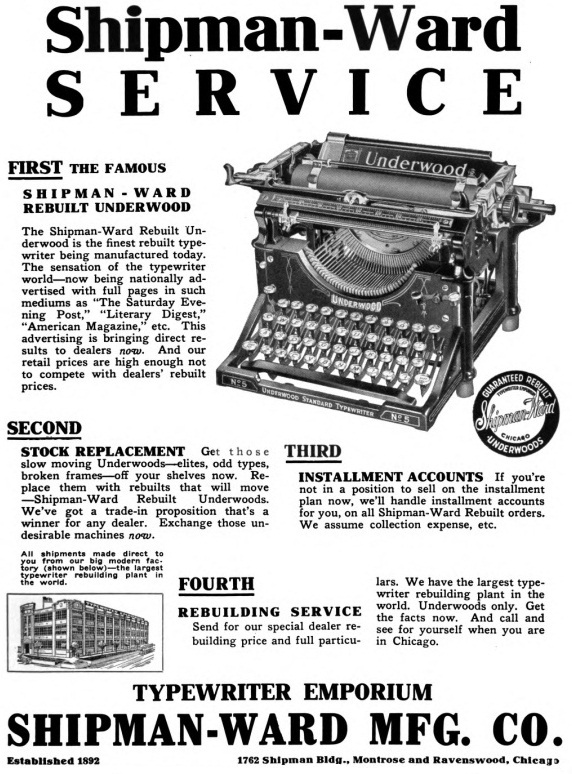 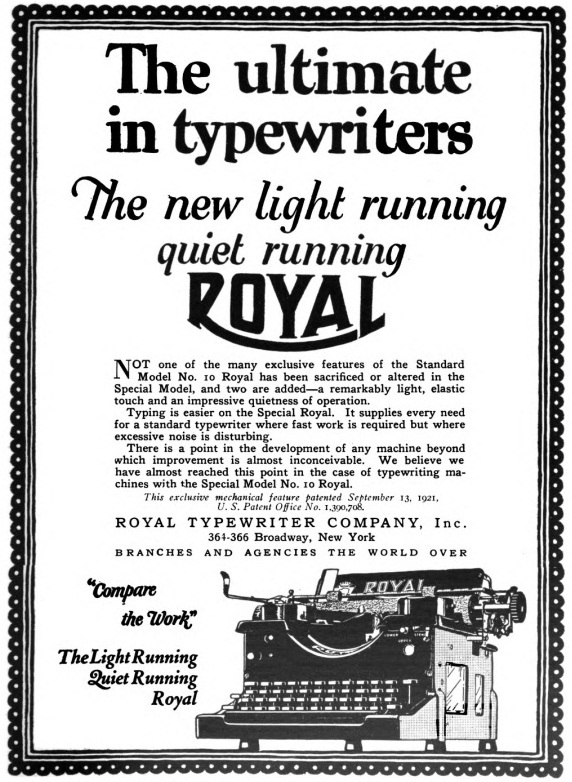 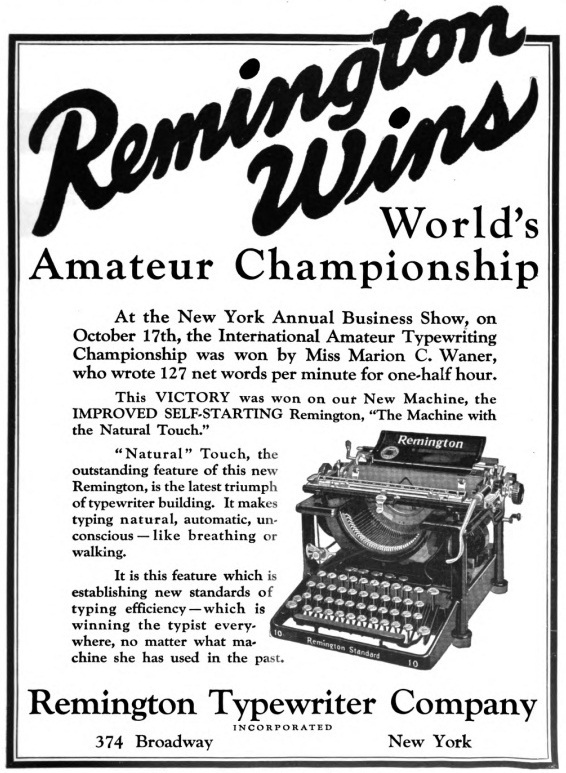 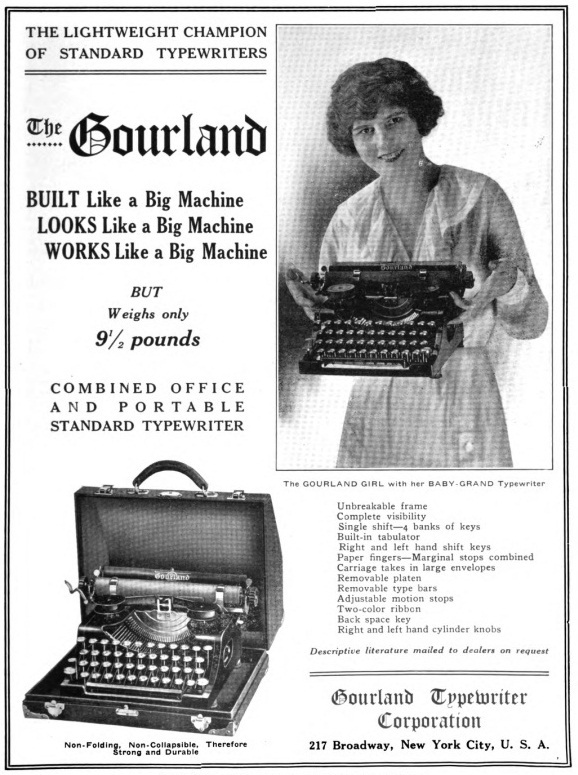 For all the marvellous post-war efforts made in restoring Germany's typewriter industry, by 1930 the German manufacturers had been made so financially vulnerable by the economic downturn that the major US companies could take their pick: Remington got control of Torpedo and Underwood of Mercedes, as just two examples. 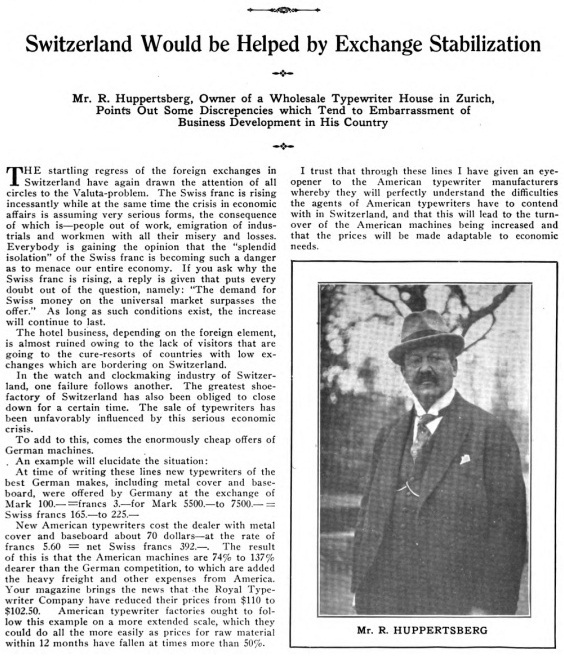 In neighbouring Austria, similar conditions prevailed: " ... many adherents to American typewriters had to buy the German, unable to afford the American".